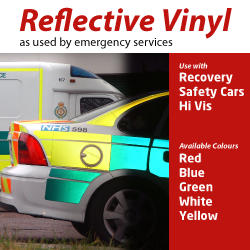 The colours represented on the website may differ slightly to the actual vinyl/print colour. All monitors display colours slightly differently and the colours we have used is as close as we can get to the real thing on our monitor! Delivery times are an estimation, we cannot guarantee a delivery time once they have been despatched, that is down to the carrier! Any problem concerning goods or delivery must be reported in writing within 3 working days of receipt of goods. Goods cannot be returned without prior agreement with our returns department, who must provide authorisation in writing. We cannot be held responsible for any delivery signed for as undamaged which is subsequently reported to have been damaged in transit. Due to the nature of bespoke signage, if you have ordered something that is wrong due to your input instructions, we are unable to refund for the order, however if it's our mistake, we'll refund the full amount or correct the order by sending out new goods and collecting the incorrect order if we deem it necessary. Before using any product detailed on the website tribalsigns.co.uk, the customer shall determine the suitability of the product for it's intended use, and the customer assumes all risks and liability whatsoever in conneciton therewith. Tribal Signs shall not be liable either in tort or in contract for any loss or damage - direct, incidental or consequential, arising out of the use of , or the inability to use , any of the products listed. We are no longer vat registered, therefore you will not receive a vat invoice. What you see is the final price payable for the goods and services we provide.